Imagine not being able to continue going to school, not because you don’t want to, or even because your parents can’t afford to but because you have had a baby. We are no stranger to teen pregnancies in the UK; but we would at least expect our girls to complete their education. 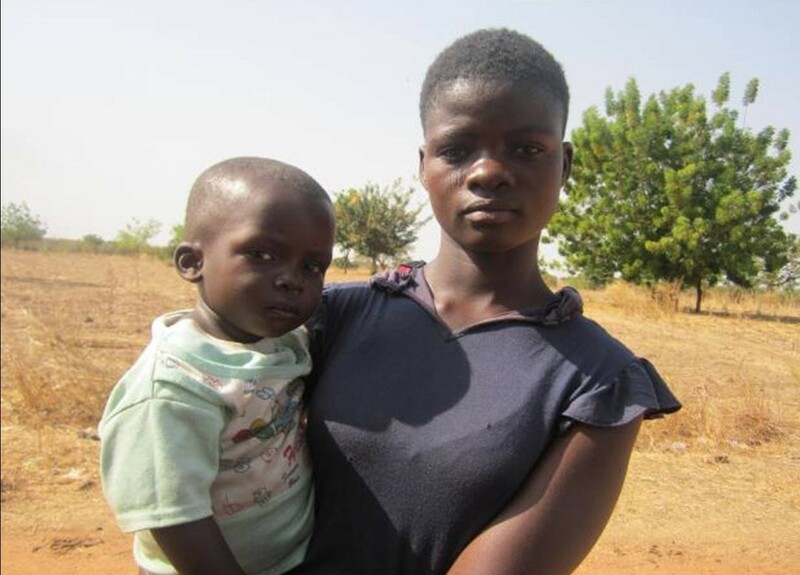 This is not the reality in northern Ghana where, our partners the Community Self Reliance Centre (CSRC) say, it is not uncommon for teenage mothers to drop out of school after becoming pregnant. Sometimes this is because they are forbidden to return by the school authorities; their parents expect them to marry their child’s father; or because the belief is prevalent that young mothers are unable to combine education with pregnancy. However, in 21 schools in the Bolgatanga area of the north change is beginning to happen. CSRC is fighting to combat such perceptions and practices as part of a Comic Relief funded “Accessing Health Rights” project. Through their work, some teenage mothers are now being able to continue going to school. Safia dreams of becoming a nurse in the future. She became pregnant when she was about to enroll in the first year of school. She was not even 13 years old. She lived in Pialugu community in Garu-Tempane district and was forced to drop out of school. In fact she had to move to southern Ghana to have her child. After her son was born Safia returned to her village. Attending one of the “Durbars” or community education festivals held by CSRC she gathered her courage and told her story to CSRC staff. Safia wanted to return to school. As a result CSRC facilitated a series of meetings with her parents and her old school teachers. Now Safia is back in secondary education, working towards her dream of becoming a nurse while her parents take care of her two year old baby. In the last six months of the project six new schools were enrolled meaning that CSRC now work with 21 secondary schools; educating young people and their families of different health topic such as pregnancy, self-esteem, STDs, drugs, family planning and abortion. Sessions are delivered by project staff and selected older students who are trained as peer educators. The project has worked with 7,879 students. This part of the programme aims to provide an open discussion forum for young people which gives them the opportunity – unusual in their culture – to ask questions about their sexuality. Being able to discuss these things means that they gain in knowledge and confidence and are able to make informed decisions as they grow. Teachers testify that they see a change in their charges, and a reduction in the number of teenage pregnancies within schools, a drop of 90% in the last year. Written by Diana Roberts, African Initiatives volunteer.